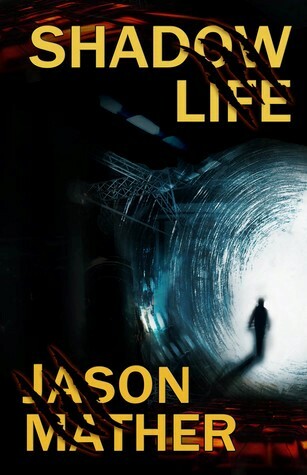 And so goes the opening line of Jason Mather’s first novel, Shadow Life. Hans Richter, is an unlikeable character with a seeming obsession with body parts and bodily functions. Mather cites Raymond Chandler as an influence and it immediately shows as Richter’s voice is gritty, witty, and full of attitude. While being as unpleasant as possible to all around him, Richter is soon embroiled in a complex murder plot—including his own—involving local military, organised criminals, assassins and killer robots. Not much makes sense, but the pace is fast, and the reader is easily engaged by the banter amongst the various protagonists, even if sometimes the info dumps are clumsy and too obvious. But short, punchy sentences enhance the speed of the action and keep the reader turning the next page (or more correctly, swiping the next screen). Unanswered questions fill more than a few pages, to the point of being annoying. No one seems to be able to give their name or answer our reluctant hero’s questions, frustrating both him and the reader. Richter’s position as the central character to the story is tenuous, almost incidental. The reasons for his involvement in a daring raid on a criminal tyrant’s stronghold is dubious, to say the least, ruining an otherwise engaging plot. By his own admission, Richter has no obvious skill set or abilities. But his one advantage is that Richter is the only person who can operate the miraculous “sphere.” When technology is treated as magic-like, it shows a lack of sophistication and laziness in writing. Surely, in this day and age, good SF can do better than this. The reader deserves more than simple plot devices and all-powerful machines. On the bright side, Mather is keen to elevate the role of women in this future dystopia but struggles to weave his thesis into the story and ends up almost preaching for equal rights. His argument is sound, but again the story suffers because of the clumsiness of the prose. But it is the women, including Richter’s mother and sister, who are the stronger and more compelling characters, and who carry the story. Shadow Life rates as good pulp fiction, so long as you don’t look too long into the obvious cracks. Plot developments often leave more questions than answers, and when an answer does come, it is less than satisfying.